The Vedas are ancient Hindu texts, constituting the oldest written material of Sanskrit literature and scriptures ever available to Hinduism. Composed in Vedic Sanskrit, these texts are considered to be apauruseva; meaning, "not of a man, but of a superhuman" or "authorless". The Vedas are also referred to as Sruti (that which is heard) and Smriti (that which is remembered). Hindus consider these texts as sacrosanct, as they are believed to be revelations made by ancient sages, after years of intense meditation. According to the Epic Mahabharata, Brahma is credited with the creation of the Vedas, while the Vedic hymns are believed to be given to us by great Rishis. They have therefore been carefully preserved since the ancient times. There are four Vedas, namely, the Rigveda, the Yajurveda, the Samaveda and the Atharvaveda. Each one of these Vedas is subclassified into four major text types, namely, the Samhitas (mantras), the Aranyakas (information on rituals, ceremonies and so on), the Brahmanas (commentaries on rituals, ceremonies and so on) and the Upanishads (discussion on meditation, philosophy and spirituality). Some scholars include an additional fifth category, the Upasanas (worship). There are various schools of thought regarding the Vedas and their significance to Hindu philosophy, culture and tradition. Those which cite the Vedas as the ultimate scriptural authority are classified as Astika (orthodox). Other Sramana (parallel schools of thought) traditions, which do not regard these texts as the greatest authority, are classified as Nastika (heterodox or non-orthodox). This category includes Buddhism, Jainism, Lokayata, Carvaka and Ajivika traditions. The Sanskrit word "Veda" stands for "knowledge" or "wisdom" and is derived from the root "vid", meaning, "to know". In some other contexts, it implies "finding or begetting wealth and property". Interestingly, a related word "Vedena" features in one of the hymns of the Rigveda. This could be roughly translated both as "along with the Veda" and as "a bundle of grass bound together" (as is used in a ritual sacrifice). Down South, Vedas are also referred to as Marai or Vaaymozhi. Marai literally means "hidden" or a "mystery". In Iyengar and some other communities, the term includes writings by Tamil Alvar saints, such as the Divya Prabandham. One such example is the Tiruvaaymozhi. As mentioned earlier, the Vedas are among the most ancient texts of Hinduism. The Samhitas roughly date back as early as 1700-1100 BC and the Shakhas (branches or schools) of the Samhitas date back to around 1000-500 BC. This indicates that there was a Vedic period, which ranged from the mid 2nd to the mid 1st millennium BC; or what is more popularly referred to as the Late Bronze Age and the Iron Age. This Vedic era reached its peak only after the composition of the mantras or hymns, along with the establishment of the various Shakhas all over India. It ended around the age of the Buddha, Panini and the rise of the Mahajanapadas (from the 6th century to the 4th century BC). During the Vedic period, the texts were transmitted from generation to generation via the oral tradition prevalent then. It was carefully preserved with the help of elaborate mnemonic techniques. A literary tradition too is found in the post-Vedic times, after the emergence of Buddhism, round about the Maurya period. However, even during that time, the oral tradition was the most popular method of passing on the teachings to the next generation of students. The Vedic manuscripts were penned on natural materials including palm leaves and birch bark. This made it challenging for scholars to preserve the writings after a few hundred years. However, efforts are constantly on to conserve what little we have of them. The Sampurnanand Sanskrit University still maintains a Rigveda manuscript from the 14th century. Older Vedic manuscripts can be found in Nepal – they date back around the 11th century or so. 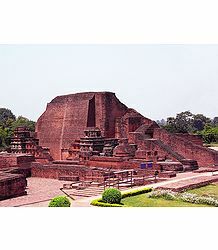 The Vedas and the Vedangas (ancillary sciences) formed a vital part of the curriculum at ancient Vedic universities, such as Nalanda, Takshashila (or Taxila) and Vikramashila. The syllabus, at these institutions, included both texts in Vedic Sanskrit, as well as texts that were considered to be "connected to the Vedas". 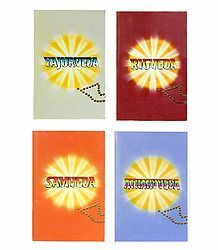 Samhitas: The Samhitas are a collection of four metric texts (of mantras), including the Rig-veda, Yajur-veda, Sama-veda and Atharva-veda. The Samhitas differ slightly in content, in accordance with the Shakhas (recensions) where they are maintained. The complete corpus of Vedic mantras consists of close to 90,000 padas (metrical units), of which about 72,000 feature in the four Samhitas. This is the oldest layer of the Vedic texts – they are believed to have been completed around 1200 BC. Brahmanas: The Brahmanas are in prose format. They explain and comment on the rituals, while also talking in detail about their meaning and connected rites as well. Each of the Brahmanas deals in detail with one of the Samhitas or its recensions. They either form a separate text or can be seamlessly integrated with the Samhita they are dealing with. The Brahmanas also sometimes include the Aranyakas and Upanishads. Aranyakas: The Aranyakas, literally meaning "forest texts", were essentially composed by sages who undertook severe penance, deep in the woods. These texts contain elaborate discussions and interpretations of the various rites, rituals and ceremonies mentioned in the Vedic texts. The interpretations featuring herein range from religious, to ritualistic, to symbolic and meta-ritualistic points of view. The Aranyakas often form a part of secondary Vedic literature. Upanishads: The older principal Mukhya Upanishads are considered as yet another vital part of Vedic study. These Upanishads, such as the Brihadaranyaka, Katha, Kena, Aitareya, Chandogya, Prasna, Mundaka and so on, discuss different aspects of meditation, spirituality and philosophy. It is important to note here, that the Vedas (Sruti) are different from the texts of the Vedic era, such as Shrauta Sutras and Gryha Sutras. These are part of the Smriti texts. Taken together, the Vedas and the Sutras form the entire corpus of Vedic Sanskrit. More Upanishads were composed and added on during the post-Vedic period. The Brahmanas, Aranyakas and Upanishads together interpret and deal in detail with the Samhitas from the philosophical and metaphorical angles. They go on to explore abstract concepts such as the Brahman (Absolute) and the Atman (Self), thus ushering in an era of Vedanta philosophy, which went on to become a major trend in Hinduism. This inspired scholars and seers such as Adi Shankara to delve deeper and further classify each of the Vedas into karma-kanda (action-related sections) and jnana-kanda (knowledge and spirituality-related sections). The numerous texts constituting Shruti are too vast to be formally compartmentalized and compiled. Hence, there is no single collection – several hundreds of texts were handed down by the different Vedic schools. These works feature various dialects and adopt the local traditions of each Vedic school. Interestingly, the German-born author, philologist and Orientalist, Max Müller, who was one of the founders of the western academic field of Indian studies, developed a fascination for the Indian perspective of religion and philosophy. He believed that the earliest documents of Vedic culture would be the key to the development of Pagan European religions, highly prevalent then. He then devoted himself to the study of Sanskrit, then emerging as one of the major Sanskrit scholars of his time. Meeting Ramakrishna Paramahamsa and being impressed by his Vedantic philosophy, he went on to write several essays and books about him. Max Müller strongly believed that the study of a language should relate to the study of the culture of the place where it was used. At the time, the West did not have much of knowledge about the Vedas or the Vedic scriptures. However, there was a rising interest in the philosophy of the Upanishads. Müller realized that he could use the sophisticated Upanishadic philosophy to further understand the key fundamentals of the Vedic teachings. At present, Müller's edition is rated among the most consistent, as it reflects the Indian tradition, follows the historical sequence fairly closely and sticks with the current editions and translations on Vedic literature. The four Vedas were propagated and transmitted in various Shakhas or recensions; each one representing an ancient community; as part of a particular kingdom or province; and following its own local tradition and canons. There were multiple recensions for each of the Vedas and hence, there was no one single canon or one set of scriptures. Some of these texts have been preserved to date, but most have been lost to time. Some other texts were revised to suit the modern era. This has given rise to much debate on having corrupted the texts in the present time. The Rigveda texts are the most well-preserved in modern times. These come from the school of Sakalya, from a region called Videha, situated in present-day North Bihar, south of Nepal. This Vedic canon consists of texts from several Vedic schools, assembled together to form one whole. Each of the Vedas has an Index or Anukramani. The principal work of this kind is the general Index or the Sarvanukramani. Much effort and energy was spent by our predecessors in ensuring that these texts were transmitted from generation to generation, retaining their fidelity to the maximum possible level. Memorization of the Vedas included up to eleven forms of recitation of the selfsame text. These texts were then proof-read many times over, to ensure that the material therein was preserved in its original form. Thanks to the efforts of the great scholars of yore, the Rigveda, which was redacted into a single text during the Brahmana period, is the most consistent and contains no variants within that school. The Vedas were most probably penned for the first ever time around 500 BC. However, all the printed editions that survive in the present day are most likely the version which came about around the 16th century AD. There are four Vedas or canonical divisions, according to Hinduism. Among these, the first three form the main original division, commonly referred to as "trayi vidya" or the "triple science" of reciting hymns (Rigveda), performing austerities and rituals (Yajurveda) and singing songs (Samaveda). The Rigveda is considered to be the most ancient text, probably from about 1900 to 1100 BC. Incidentally, this period marked the Vedic era itself, when they were divided into the four branches. As mentioned earlier, each of the Vedas are subclassified into four major text categories; the Samhitas, the Aranyakas, the Brahmanas and the Upanishads. Some scholars consider Upasanas as the fifth part. Only one version of the Rigveda is available to us in this modern era. Several different versions of the Samaveda, Yajurveda and Atharvaveda can be found in different parts of India and South Asia. The Rigveda Samhita, which is the most ancient Indic text, is a collection of 1,028 Vedic Sanskrit hymns and comprises 10,600 verses in total. The hymns are all in praise of Rigvedic deities and they are organized into ten books or mandalas. The mandalas were composed by poets and scholars belonging to different groups, over a period of several centuries. The process is believed to have started from approximately the second half of the 2nd millennium BC (which marked the start of the Vedic period), starting with Sapta Sindhu (Punjab) region in Northwest India. Each mandala consists of suktas or hymns, which are chanted during various rituals. The suktas in turn are divided into individual stanzas or rcas, which are further classified into units of verse, called padas. One Rishi or sage-composer is associated with each of the rcas of the Rigveda. Interestingly, 10 families of Rishis account for over 95% of the rcas. These Rishis include Angirasa, Kanva, Vasishtha, Vishwamitra, Atri, Bhrigu, Kashyapa, Grtsamada, Agastya and Bharata. The Rigveda is systematically structured and is based on clear principles. This Veda begins with a small book dedicated to Agni (God of Fire) and Indra (King of the Gods). Also invoked in the Rigveda are Savitr, Vishnu, Pushan, Brihaspati, Brahmanaspati and Rudra. Some natural phenomena too are invoked in the hymns, including Dyaus Pita (Father Heaven), Prithvi (Mother Earth), Surya (Sun God), Apas (the waters), Vayu (the wind), Parjanya (thunder and rain) and the Sapta Sindhu and the Saraswati River. Additionally, the Adityas, Ashvins, Vasus, Rudras, Sadhyas, Maruts, Rohus and the Vishvadevas (all the Gods of the Universe) receive due mention in the hymns as well. Structure-wise, the hymns are arranged in decreasing order for each collection of deities. For each deity, the hymns gradually progress from longer to shorter. The number of hymns per book, though, increases. The poetic meter, too, is systematically arranged from jagati, to tristubh, to anustubh and Gayathri. The nature of the hymns change from praising the deities to Nasadiya Sukta, with questions about the creation and the emergence of the Universe, such as, "How was the Universe created? What is its origin? Can even Gods answer this question?" and so on. Metaphysical issues, the value of Dana (charity) are yet other subjects featuring herein. It would be worthwhile to note here that one can find many similarities between the mythology, legends, ritual practices and linguistics in the Rigveda, and those found in ancient central Asia, Iranian and Hindukush (Afghanistan) regions. The term "Yajurveda" is the combination of two Sanskrit words, "Yajus" and "Veda". The former can be roughly translated as religious worship, reverence, sacrifice, sacrificial prayer or the mantras to be uttered during a sacrificial ritual. The latter part of the word, of course, means "knowledge". Hence, the term would mean "knowledge of the mantras used during ritual worship". The Yajurveda Samhita, which is in prose format, is a compilation of ritual offering formulae and methods that a priest should follow while guiding an individual to perform a yagna (fire ritual/sacrifice). Though the Vedas cannot be dated accurately, it is believed that the main text of the Yajurveda was composed around the end of the 2nd millennium BC, which falls within the classic Mantra era of Vedic Sanskrit. Hence, this Veda is not as ancient as the Rigveda and falls somewhere during the same time period as of the Samaveda and the Atharvaveda. The oldest layer of the Yajurveda samhita features about 1,875 verses, which, though distinct, build upon the foundation laid by the Rigveda. It is important to note here that the Yajurveda samhitas are entirely in prose format and linguistically, are completely set apart from earlier Vedic texts. This samhita is also a primary source of information regarding Vedic rites and rituals, plus all associated rituals as well. This samhita could be split into two groups, namely, the Krishna (Black) and the Shukla (White) divisions. The Krishna group refers to the "un-arranged", mostly random collection of verses in the Yajurveda. In contrast, the Shukla group features well-arranged verses, clearly separating the Samhita from its Brahmana (Satapatha Brahmana or the Brahmana of the Hundred Paths). Incidentally, this is one of the largest Brahmana texts to survive to the present day. Of the Krishna Yajurveda, texts from four major schools have survived – these are Maitrayani, Katha, Kapisthala-Katha and Taittiriya. Of the Shukla Yajurveda, only two major schools of Kanva and Madhyandina have survived the ravages of time. Interestingly, the most recent layer of text is not related to rituals or sacrifice. It features the largest possible collection of primary Upanishads, which influenced major schools of Hindu philosophy and thought. The Samaveda is the Veda of chants and music. The entire musical text is systematically notated, keeping with the traditions of the Shakha where it was maintained. Since it has to be sung, it could be considered as the Rigveda set to music. Though it has fewer verses as compared to the Rigveda, it is textually lengthier, due to its elaborate lists, chants and elongated modes of singing. The Samaveda Samhita comprises 1,549 stanzas, with some verses repeating more than once. Except for a set of 75 mantras, has taken almost entirely from the Rigveda. The Samaveda, which is believed to have given rise to music itself, is divided into two major sections. The first section includes four Gaanas or melodic collections. The second section consists of three verse "books", called Archikas. A melody in the song book corresponds to a verse in the Archika book. As with the Rigveda, this samhita too starts with the worship of Agni, Indra and other Gods, soon shifting to the abstract. The poetic meter here too, follows the Rigveda scheme. The songs in the later section too are much like the hymns featuring in the Rigveda. The two major Shakhas or recensions of the Samaveda that are surviving in the present time, include the Kauthuma/Ranayaniya and the Jainminiya schools. Indian classical music and dance have their roots in the musical curves and dimensions of the Samaveda. Apart from vocal music, this Veda mentions the existence of musical instruments; even clearly specifying how each instrument must be played. The Veda has a dedicated section for this, called the Gandharva-Veda. This Upaveda is closely attached to the main Samaveda. The fact that Indian music has risen from the Samaveda is widely acknowledged by musicians and musicologists all over India and the world in general. According to popular legend, Lord Shiva gave us the Saptaswaras (seven notes) of music, via the Samaveda. The story goes that the Panchamukha (five-faced) Shiva was once addressing a celestial congregation of the Devas and other divine beings. Each of his five faces, namely, Satyojaata, Vaamaka, Eeshaana, Tathpurusha and Aghora, was addressing a different section of the audience (extreme left, left, center, right and extreme right). While the content of his speech became the Vedas, the tone in which he delivered his speech became the seven swaras of Sa, Re, Ga, Ma, Pa, Dha and Ni. Some experts suggest that melodies most likely existed in ancient India, much before the emergence of the Samaveda. The words of the Rigveda verses were probably mapped into those pre-existing melodies, so as to create a flow and a rhythm for the structure. The text sometimes uses Stobha or creative structures to make the words fit in better with the tune. Sometimes, meaningless sounds are added on so as to make it more pleasant-sounding and soothing to the ear. Thus, the Samaveda represented the start of fusing creative music with meaning and deep spiritual intent. The Atharvaveda Samhita belongs to the poets, Atharvan and Angirasa. It comprises about 760 hymns. Around 160 of these hymns are the same as the Rigveda. Most of these verses follow the typical metric system of the Rigveda, but some sections are also in prose format. Today, we have two different sections of the text, namely, the Paippalada and the Saunakiya. Interestingly, the Atharvaveda was not considered as a Veda during the Vedic period. It achieved that status towards the end of the 1st millennium BC. This text is believed to have been compiled around 900 BC. The Atharvaveda is sometimes referred to as the "Veda of magic formulas". The Samhita layer of this text represents an evolving 2nd millennium BC tradition of conducting religious rites, with a view to address superstition anxiety. It supposedly tried to cure ailments caused by spells, demons and other dark and paranormal forces. This text deals with developing and administering herbs and nature-derived potions to cure a variety of ailments, both physiological and psychosomatic in nature. Hence, this was probably one of earliest texts to record the evolution of Medicine, medical treatment and healing. 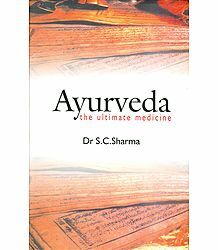 Hence, Ayurveda is sometimes considered to be an Upaveda of the Atharvaveda. Other experts, however, consider Ayurveda to be a different, Panchama (fifth) Veda. That apart, several books of the Atharvaveda Samhita also talk about "magic-less" rituals, philosophy and theosophy. It speaks about Vedic culture, general customs and beliefs, and, most importantly, two major rituals of passage, namely, marriage and cremation. It not only explains how to conduct these rituals, but also elucidates the reasons why Hindus should correctly follow prescribed procedures for the same. The Vedangas evolved towards the end of the Vedic era. These subsidiary studies emerged, because the original language used by the Vedas had become too archaic for people of that time. The Vedangas were sciences that aimed to help people understand and appreciate the teachings of the Vedas, which had been composed centuries ago. The six main subjects of Vedanga are Siksha (phonetics), Chandas (poetic meter), Vyakarana (grammar), Nirukta (linguistics), Kalpa (rituals and rites) and Jyotisha (astronomy and time-keeping). The Vedangas went on to have a great influence on post-Vedic studies, schools, art and philosophical though. For example, the Kalpa Vedanga gave birth to the Dharma-sutras, which later expanded into Dharma-shastras. Parisishta mainly aimed to explore the rituals and commentaries mentioned in the Samhitas, Brahmanas, Aranyakas and Sutras in more detail. Each of the Vedas has a Parisishta dedicated to its study. The literature associated with the Atharvaveda, though, is the most elaborate and extensive one. Upaveda or "applied knowledge" is literature dealing with different technical subjects. The Charanavyuha makes mention of four Upavedas, namely, Dhanurveda (Archery), Sthapatyaveda (Architecture), Gandharvaveda (Classical Music and Dance; naturally associated with the Samaveda) and Ayurveda (Medicine; associated with the Atharvaveda). Some post-Vedic works, including the Mahabharata, the Natyashastra (an elaborate treatise on Dance) and certain Puranas, consider themselves to be the "fifth Veda". References to the same can be found in the Chandogya Upanishad. South Indians consider the Divya Prabandham to be a parallel vernacular Veda. Some Hindu schools of thought consider the Bhagavad Gita and the Vedanta Sutras as Shruti. 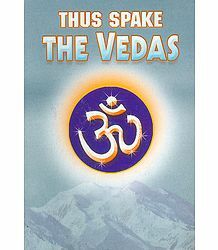 Later, the Bhakti Movement, especially the Gaudiya Vaishnavite sect, extended the scope of the term "Veda" to include the Sanskrit Epics and works such as the Pancharatra (Vaishnava Sanskrit Agamic texts). However, these are not universally accepted as Vedas by all Hindus. The Puranas constitute a vast body of Indian literature, dealing with a wide range of topics, myths and legends. Many of these texts are named after major Hindu deities such as Vishnu, Shiva, Devi and so on. 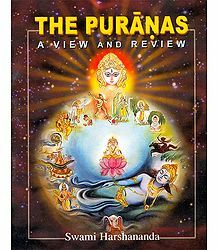 There are 18 Maha Puranas (Great Puranas) and 18 Upa Puranas (Minor Puranas). Together, they feature over 400,000 verses. The Puranas have greatly influenced Hindu art and culture and are considered as being Vaidika (similar to Vedic literature). The Vedas are the most ancient texts in Hindus. Nevertheless, these vast repositories of knowledge are relevant for all time. The wisdom contained in these texts is applicable for the entire humanity and surpasses all geographical, ideological, historical and sociological barriers. By studying the viewpoints in different topics found in Vedic culture, we would definitely be able to put several of them to practical use in this time and day. We are trapped in today's busy and complicated world and sometimes lose track of the right path. The knowledge offered by those treatises can indeed help us in fields we cannot even begin to imagine. India's Vedic culture has made immense contribution to several fields of activity and has verily influenced the thinking process of the entire world. It has given the world advanced knowledge in music, art, astronomy, martial arts, yoga, philosophy, mathematics, science, holistic medicine in the form of Ayurveda, and much more. Vedic mathematics is an ancient subject, that dates back as far as 2500 BC. It continues to play an important role in modern society, not only in India, but all over world. It made calculation and computing much simpler than the traditional Egyptian, Greek and Roman methods prevalent then. The Vedic system also invented the numeral zero, which is considered to be among the greatest ever inventions in the history of mathematics. The subject then evolved further to include the Jyotisha or Vedic astronomy, which used mathematics in different forms. In the 5th century, Aryabhatta introduced the concept of sines and versed sines and also brought in Algebra to solve many problems in astronomy. He is considered to be the first person to state that the Earth moved around the sun. However, ancient Vedic texts have described the phenomenon several centuries earlier. This shows the immense wisdom of those seers and sages. The 9th century saw the advent of Mahavira, who used fractions to solve problems in a more efficient manner. Bhaskara II (12th century) extended the scope of the subject by working on spherical trigonometry and calculus. He then used that to determine the daily movement of the planets. Vedic mathematics is now being introduced in many schools – this has helped make students brighter, faster, more accurate and more productive in class. Way back in 600 BC, Sushruta held a record of performing complicated surgeries including cesareans, fractures, urinary stones, cataracts, brain surgery and even plastic surgery. India was quite advanced in Medicine even back then and used anesthesia as well. Recording the use of over 125 surgical instruments, the doctors of yore had great knowledge of anatomy, metabolism, digestion, genetics, immunity and all other subjects related to human physiology. A well-developed system of Medicine was set in place by the 1st century AD. Over time, the existing medical system evolved further, giving rise to the holistic system of Ayurveda. Starting with extensive use in India, it is now popular the world over. The term "Ayurveda" is derived from two Sanskrit words, "Ayus" (life) and "Veda" (knowledge). Hence, it can be defined as the knowledge of healthy living overall; not just limited to the treatment of diseases. Ayurveda is all about living a holistic and healthy life; about improving and enhancing the general quality of life. This is why, Ayurveda, unlike English Medicine, tries to get to the root of the problem and aims to heal the mind, rather than just treat the ailment as such. On the one hand, Ayurveda offers types of treatment such as Panchakarma; sometimes even recommending surgery; to cure certain ailments. On the other hand, it also offers preventive measures for those who are in good health. These measures include elaborate daily and seasonal routines; diet patterns to boost immunity; Rasayana Chikitsa to promote health; Vajikarana Chikitsa to enhance libido; Swasthavritta, which are details to sustain health with exercise and other routines; Sadachar, which focuses on social hygiene and so on. As a whole, Ayurveda advocates eight major clinical branches of medicine, namely, Kayachikitsa (Medicine), Salya Tantra (Surgery), Salakya Tantra (ENT), Kaumatabhritya (Pediatrics), Bhutvidya (Psychiatry), Agad Tantra (Toxicology), Rasayan Tantra (Nutrition) and Vajikarana (Sexology). Interestingly, both the Rigveda and the Atharvaveda make mention of Ayurveda and state that there were thousands of medicines and medical practitioners even back then. 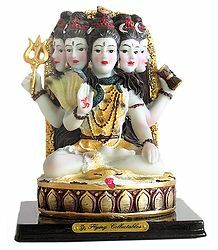 Furthermore, the three Rigvedic Gods, Indra, Agni and Soma, are associated with the three biological humors of Vata, Pitta and Kapha respectively. Vedic gemology aims to determine which precious or semi-precious gem one should wear in order to attract the best possibilities and circumstances in one's life. This branch works in conjunction with Ayurveda and Jyotisha to help a person enjoy better health and positive mindset. This field, which uses gems and precious stones to control conditions; both mental and physical; has now begun to gain popularity the world over. Gemology tries to tap into the prana or the cosmic energy force that resides in all living beings. Each gemstone has a particular vibration and the correct combination of Ayurveda and astrology reveals the exact gemstone a person should wear in order for it to amplify his physical and mental energy to the maximum possible extent. Vedic art is yet another ancient branch, which holds much value even today. The Vedic arts are never merely a creative representation of an artist – they always contain a much deeper spiritual and philosophical meaning. The arts are considered sacred and many times, enable both the artist and his or her audience to transcend to higher realms of existence. Vedic paintings are capable of delivering this type of spiritual vibration and energy. Hence, the painting itself becomes a sort of doorway for contemplation; finally leading to spiritual realization. In order to convey a higher purpose, the painter or sculptor uses colors, designs and instruments, which sometimes need to be explained to onlookers to help them gain better understanding of the fundamental thought behind it; then contemplate upon it. Indian dance and music too are spiritual in nature. A method for the jeevatma (individual soul) to reach the paramatma (the Universal One), these arts too are designed to be a pathway for both artists and their audience to reach the state of bliss. Vedic dance and music date back to prehistoric times. In his treatise, the Natya Shastra (penned over 2000 years ago), Bharata Muni explains how Brahma presented dance and drama to earthlings, millions of years ago, just after the Earth had been created. 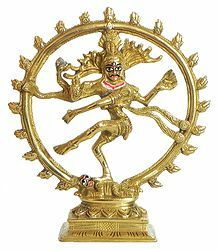 In fact, the image of the Lord of Dance, Lord Shiva, as Nataraja, itself proves that point. His dance is based on the energy and the rhythm of the cosmos. His tandava taps into that unseen energy that pervades the entire Universe, also destroying all the negative forces, thus helping the practitioner to attain moksha or liberation. This is the reason why Indian classical music and dance follow a strict discipline. These arts require students to painstakingly learn it the proper way, spending years on delving deeper into the art. There are precise instructions and exercises to follow in both music and dance, which students must strictly adhere to. Also, the students are required to realize that the learning process is an endless one and that he or she will continue to study the discipline for an entire lifetime. This helps them understand the underlying sanctity of the art, revering it as God itself. This, in turn, helps them practice their art as yoga or a form of meditation, ultimately leading them towards spiritual fulfillment. Today, Indian music and dance are extensively studied, practiced and performed all over the world. We can find countless schools imparting knowledge on Hindustani and Carnatic music (both vocal and instrumental) and classical, semi-classical and folk dance forms including Bharata Natyam, Kathak, Kathakali, Odissi, Mohini Attam, Manipuri, Krishna Attam and many more. 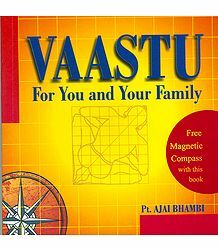 Vaastu Shastra is the ancient Vedic science of architecture and home arrangement. Popular in the Orient as Feng Shui, this concept has gained immense popularity all over the world. 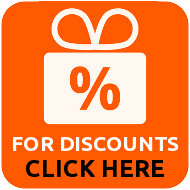 Vaastu basically deals with the flow of energy within residential and office spaces. In order to achieve optimum results, this science advises people to design spaces, facing the right direction. Vaastu is all about creating an Inner Space or a chidaakaasha, where the Divine Energy can work to create the maximum possible peace and harmony within that particular environment. Once that energy and vibration has been stabilized and remains positive, the people dwelling or working in that space can achieve the highest levels of peace, joy, health and productivity. Schools in India and abroad have now begun to realize the great benefits of introducing Vedic culture and teachings within their syllabus. Given the present pressures faced by school students, many schools have started hiring experts and scholars to conduct Veda, Sloka (hymn) and Gita classes. This not only helps the students get back to their traditional roots, but also calms these young minds and reduces instances of aggressive behavior among them. Several families, especially those hailing from South India, enroll their children in Veda, Gita, dance and music classes at a very young age. This helps them channel their energies and inculcates the value of discipline within them, right from a tender age; thus shaping their personality for the better. Several schools conduct Indian classical dance and music classes as well. The inclusion of Vedic mathematics has further helped children with their level of concentration and focus during class hours. While this teaches children discipline and focus, it also helps bring them together as a family, chanting and praying together, thus encouraging a spirit of camaraderie among them. Recently, the Nalanda University at Patna officially stated that it plans to introduce Vedic studies within its curriculum. The famed educational establishment may also include special courses on Mindfulness and Yoga in the near future. The above clearly proves that the ancient wisdom of the Vedas is as much relevant now as it was in the bygone times. Studying the ancient texts and understanding their essence; practicing Yoga, meditation, dance, music and art; adhering to our culture, religious rites and austerities; also educating the younger generation on appreciating the value of our culture; will all help create a better tomorrow for our country and its future citizens.